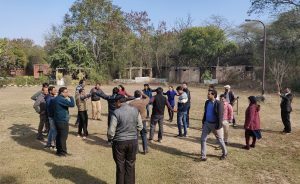 NEW DELHI: NBCC (India) Limited, a Navratna CPSE under the Ministry of Housing and Urban Affairs (MoHUA), recently organized a two-day training programme ‘Leadership Development and Managerial Excellence’ for its officials. It was organized at NBCC’S Training and Skill Development Centre, (TSDC) in Ghitorni, New Delhi. The programme incorporated unique learning and development strategies that will ensure that the employees introspect, learn and grow. The programme also included physical activities to increase output at the workplace. Focussing on the merits of developing a leadership quality, CMD NBCC, Dr. Anoop Kumar Mittal encouraged the officials to brace for multiple kinds of challenges at the workplace. “At NBCC we encourage employees to challenge themselves and see exactly what they are capable of. This has been what nurturing and sustaining talent is. At NBCC we believe in extending a safe and secure working environment for our employees.” he said.